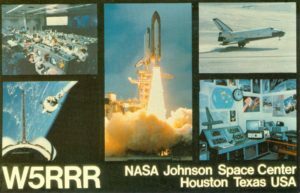 JSCARC/W5RRR QSL Card history throughout the years. 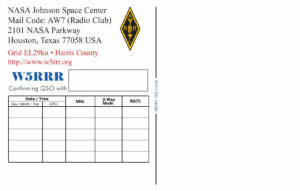 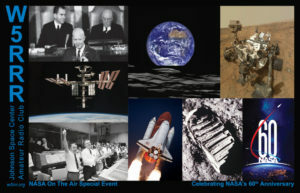 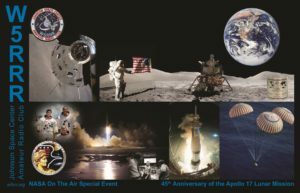 QSL for our 50th anniversary special event. 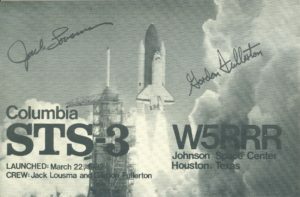 QSL for the STS-4 mission. 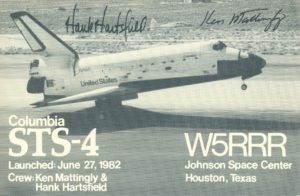 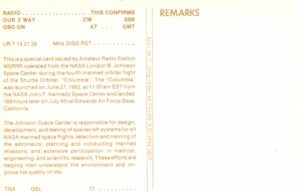 QSL for the STS-3 mission. 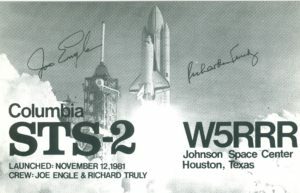 QSL for the STS-2 mission. 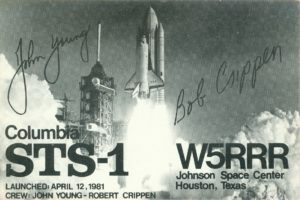 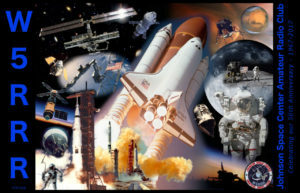 QSL for the STS-1 mission. 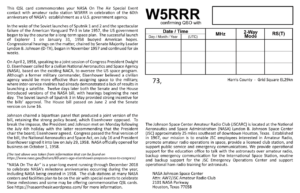 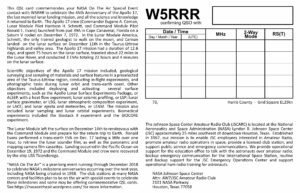 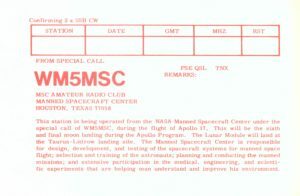 Special callsign WM5MSC used for the Apollo 17 mission. 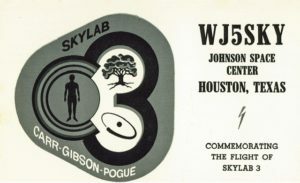 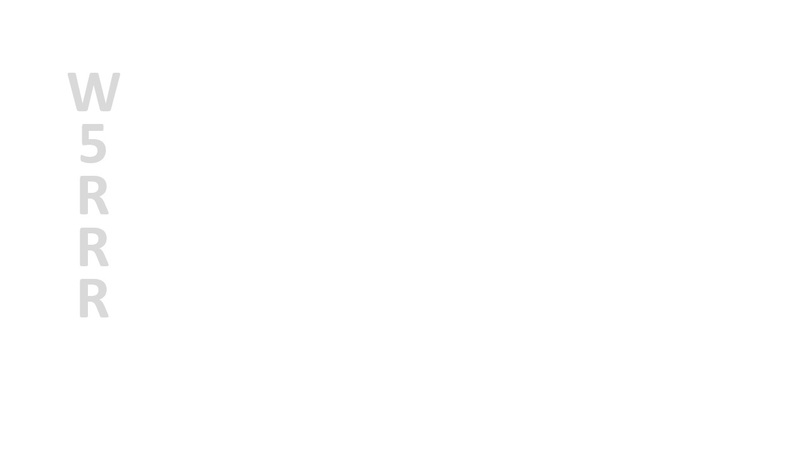 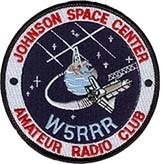 Special callsign WJ5SKY used for the Skylab III. 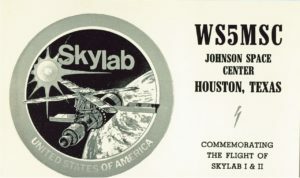 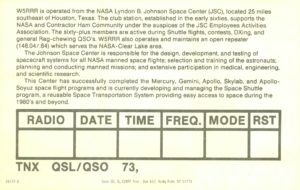 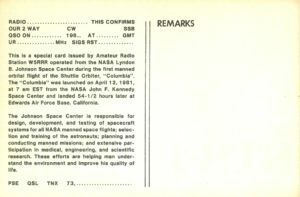 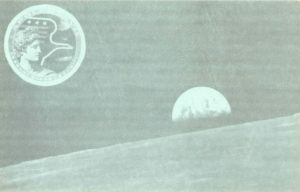 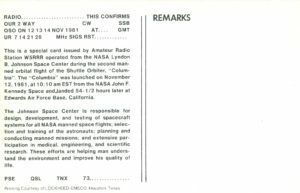 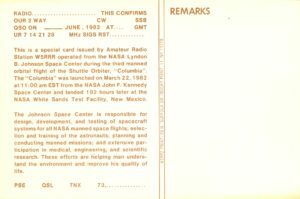 Special callsign WS5MSC used for the Skylab I & II.